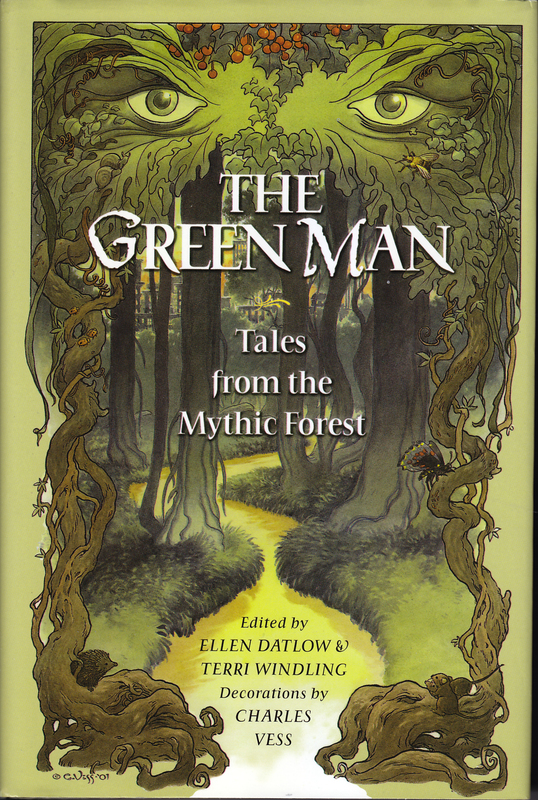 Ellen Datlow & Terri Windling are editors of The Year's Best in Fantasy and Horror as well as several anthologies based upon Folk and Fairy tales. Seeing as how I am particular to folk and fairy tales, I enjoyed these, although I think I prefer stories that read like folktales, rather than reading a folktale rewritten for modern readers. 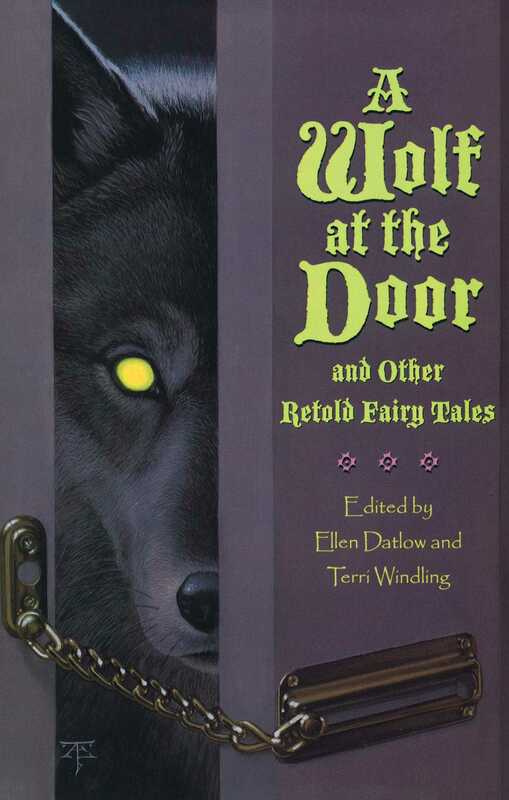 The Charles de Lint story, "The Moon is Drowning While I Sleep," is one of my favorites. 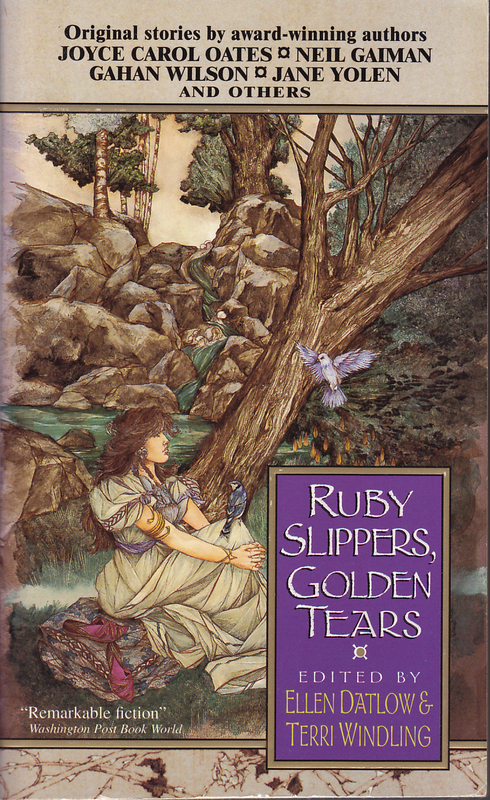 It's a Sophie Etiole stories, however, like all of Charles de Lint's short stories, can be read and enjoyed without knowing anything of Newford. 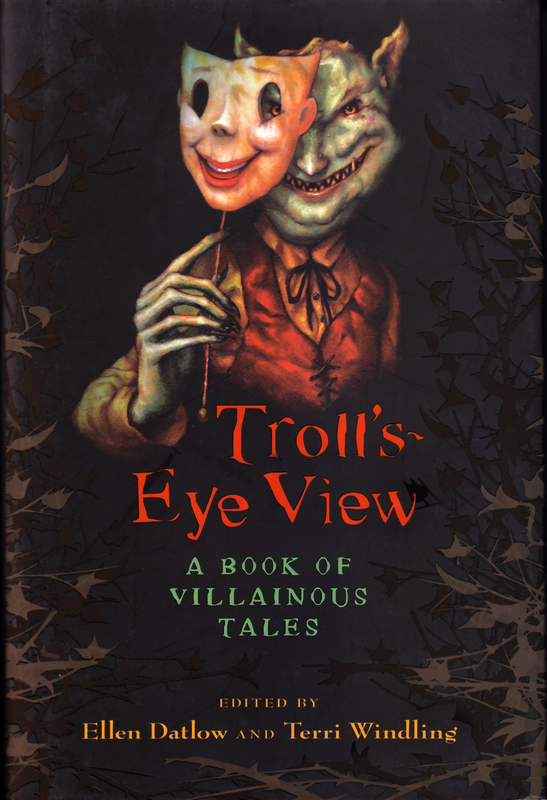 Another favorite is Neil Gaiman's "Troll Bridge." I love the idea of paths that take us off to hands hidden just beyond our sight. And I love the way that we are manipulated by the main character and the story. 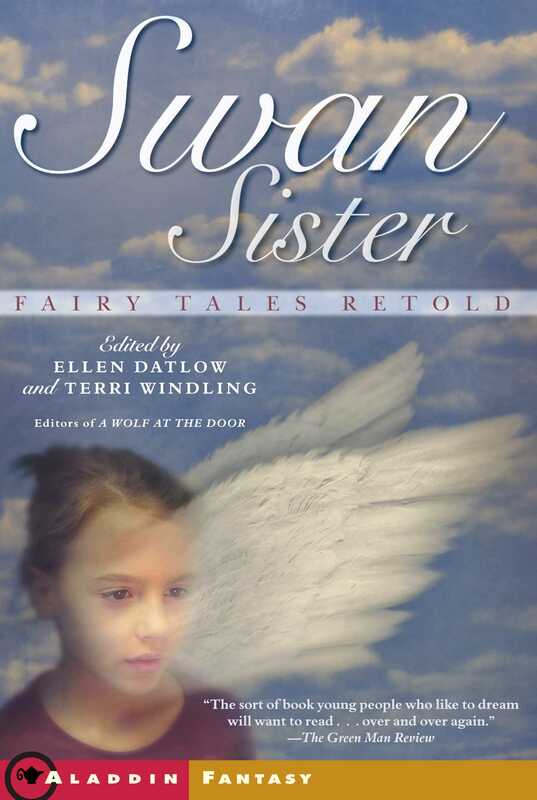 I also particularly like Patricia A. McKillip's story "The Snow Queen." I reads to me precisely as a version of the tale involving grown-ups instead of children would read. Except of course that I wasn't really sure about how things would end. Some of these stories end as you would expect if you're familiar with the story, and so go off in unexpected directions, so I wasn't sure where this tale was going. Jack Dann's story, "The Glass Casket," was another story I really enjoyed. There were a handful of stories I didn't particularly care for, but there weren't that many. And there were different reasons why I didn't like the stories. Lisa Goldstein's "Breadcrumbs and Stones" is excellent, but I found it terribly depressing. Melanie Tem's story, "The Changelings" bothered me so much I couldn't stand to finish it. (I did vaguely remember how it ended.) It was just too awful. Delia Sherman's story, The Months of Manhattan is a retelling of one of my favorite folk tales, and although the moral remains the same--always try to have something nice to say--I was somewhat disappointed by the change in the ending. I thought that Janeen Webb's Ali Baba and the Forty Aliens did a better job modifying a familiar story without making it a bit too neat and pat. And considering some of the other stories in this collection, I'm not quite certain why the The Months of Manhattan ended the way it did. I was quite pleased by Katherine Vaz's The Kingdom of the Melting Glances, as it was based upon stories that had not heard before. The stories are, I believe, of Hispanic tradition, and most of my folktale collections are European or Asian, so I will definitely need to search for some new collections to read. Nina Kiriki Hoffman once again reminds me why I love her writing so much as she retells the story of Bluebeard in "Chambers of the Heart" from the point of view of the young bride. I love how she manages to tell an entire tale in only a short story. "Chambers of the Heart" was probably the story that kept closest to the original tale, of a man who murders his brides and keeps their bodies in the basement. Yet knowing the tale made the story no less compelling. 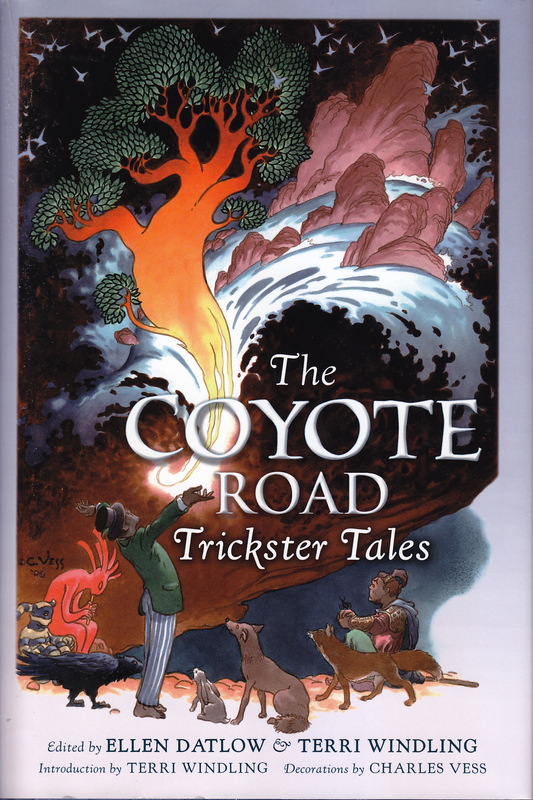 In other other direction, Wil Shetterly's "Little Red and the Big Bad" was as far from a traditional folk tale as you can get, yet he managed to completely recreate the feel and idea of the original tale--especially in the ending. "The Girl in the Attic" by Lois Metzger kept the feel of a fairy tale, with its step-mother / step-daughter relationship, however, I loved the way the story turned out. I know why Katherine Vaz's story "My Swan Sister" was last--because by the end my eyes were too blurry with tears to continue on. Very impressive for a story only twelve pages long. 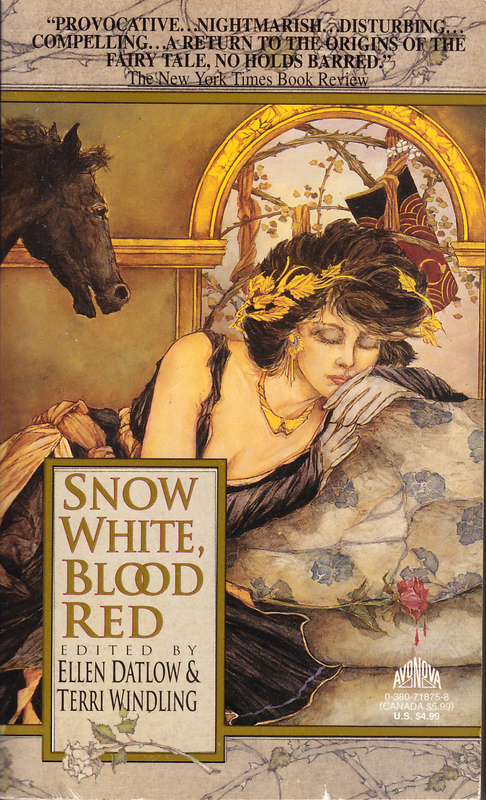 Although this story deviated the most from the traditional fairy tale, it was still excellent. And I particularly like how the story made me see and feel the idea of experiencing each day to its fullest. And I wasn't let down. Tengu Mountain by Gregory Frost was perfect. It reminded me of any number of Japanese folktales without actually being any one of them. Catnyp by Delia Sherman I quite liked; it reminded me a bit of a Charles de Lint story. In Catnyp, Faerie exists parallel to our world, and includes a New York Public Library that reminds me a bit of Terry Pratchett's library, only without the L-Space. The Price of Glamour by Steve Berman was the type of tale I like best--not set in this time, and not really set in this reality. I don't have anything against fantasy set in our time and our reality (I do love Charles de Lint after all!) It's just that for me tales set in other realities are more of an escape. And often I really want to escape from this reality. Bruce Glassco's Never Never is fantastic. I'd never thought about how Hook felt about the part he had to play in Never Never land before, and why he was so bitter about it. One of my favorite stories was The Dream Eaters by A.M. Dellamonica. 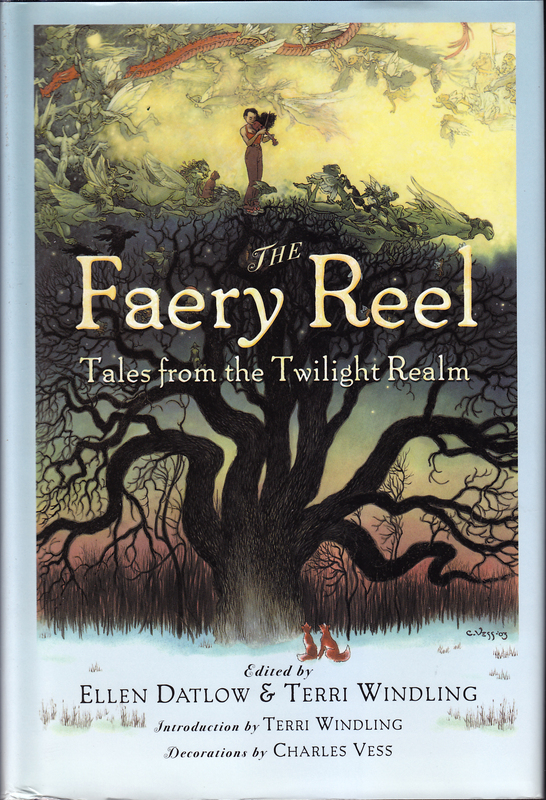 Part faerie tale, part hard boiled detective tale, it combines my favorite types of stories. I was, however, a little confused by her faerie and how time ran there. For those who are Charles de Lint fans, “Crow Roads” is not a Newford tale, but an excellent story nevertheless, of a girl dreaming to escape her small, restrictive life. There is little more I can cay, other than as expected, this was an excellent story. As with many of her stories, Nina Kiriki Hoffman’s “The Listeners” is a dark at times, but it’s the dark of the truths from which we all try to hide, rather than from imaginary monsters. And of course being a trickster tale, all’s well that ends well. Besides those there, all the stories in this collection were good, and most were excellent. I especially enjoyed “The Fiddler of Bayou Teche” by Delia Sherman, which is somewhat of a deal with the devil story, except it’s not really the devil, though for all he does, he may as well be acting in the devil’s stead. Another favorite was “The Constable of Abal” by Kelly Link. The story ranged near and far and I was never quite sure where it was going, but that was ok because I was glad to be along for the ride. 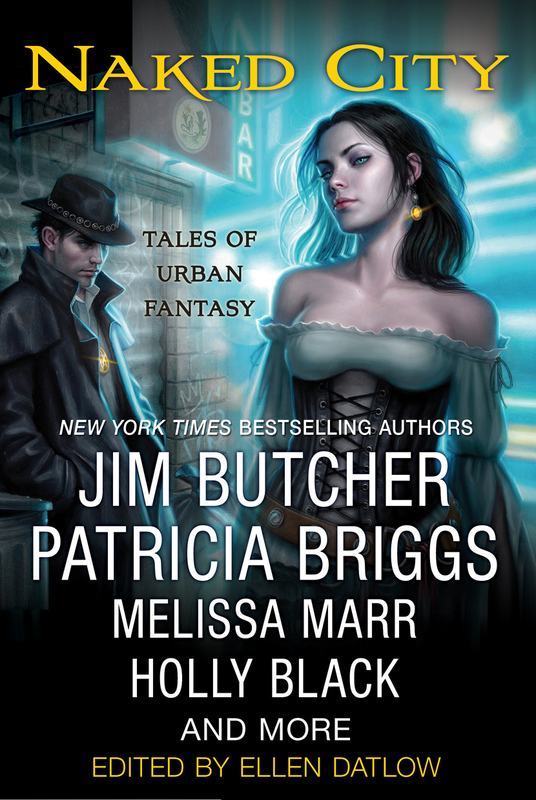 First up was Jim Butcher‘s Harry Dresden story “Cursed.” I’ve become frustrated by the Dresden Files series the past couple books, so a nice short story about baseball was a pleasant change. Harry is asked to find out about a possible curse on the Chicago Cubs. Delia Sherman‘s story was next, “How the Pooka Came to New York City.” It’s 1855 and tells how a pooka came to NY with a human, Liam O’Casey. I love Christopher Fowler‘s Bryant & May mystery series. This is an unrelated stand-alone story about, well… in theory it’s about a hold up, but it isn’t. Not really. Patricia Briggs story “Fairy Gifts” is a vampire story, but it’s not one of those vampire stories. It’s of a boy who was forced to become a vampire, and more. Pat Cadigan’s story “Picking Up the Pieces” was another story about fairy, but it’s also about family, and a woman looking after her sister. Peter S. Beagle‘s story, “Underbridge” was unexpectedly dark, almost more horror than fantasy. It’s about a troll. And it isn’t a nice troll. Naomi Novik, who wrote the Temeraire series, has a non-dragon entry–another vampire story, only this one about the problems of the housing market in New York city. I’m not certain I’d classify Matthew Kressel’s story, “The Bricks of Gelecek” as urban fantasy. It’s not a modern setting, and it’s not especially urban. It is interesting and depressing. Lavie Tidhar’s story, “The Projected Girl” was meloncholy. A boy discovers a magician’s diary, and wants to learn more about the magician and the trick he reads about in the book. The last story in the anthology is Elizabeth Bear’s “King Pole, Gallows Pole, Bottle Tree.” It’s a story of Las Vegas and memory and magic. It’s also extremely good. “Things to Know About Being Dead” by Genevieve Valentine is the story of a young, just turned, Jiang-shi (vampire) and her grandmother, who is the only one who knows what’s happening. 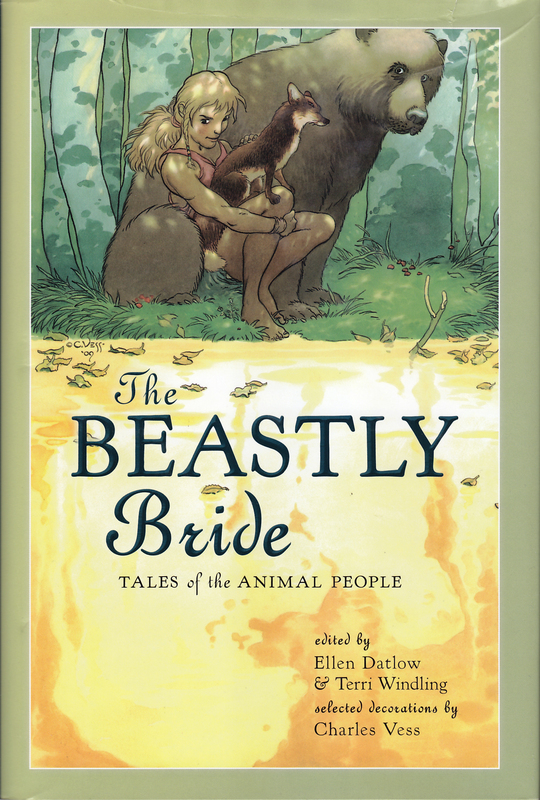 This story was sweet and sad and wonderful, and one of my favorites. “All Smiles” by Steve Berman tells of a young boy running away from reform school who learns the hard way that vampires exist. “Gap Year” by Christopher Barzak is Loretta’s story, and how sometimes childhood friends aren’t the friends you think they are. “Flying” by Delia Sherman was another favorite story. A young trapeze artist and her parents have to stop touring when she develops Leukemia, but Lenka misses the circus and wants more than anything to return. “Late Bloomer” by Suzy McKee Charnas follows Josh, who just can’t seem to find his place and what he is supposed to do with his life. Perhaps, being a vampire isn’t all it’s cracked up to be. 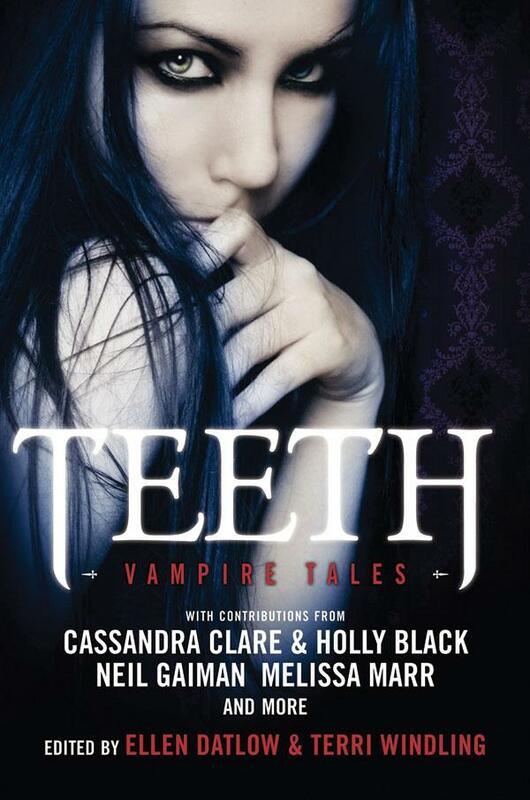 Odette snarled silently, showing a gleam of fang (Josh looked away; he hated thinking about where those teeth had been). “The List of Definite Endings” by Kaaron Warren is Claudia’s story, and how she tries to find a different path. This was another story I especially enjoyed. “Best Friends Forever” by Cecil Castellucci was another sad story, of illness and dying. But it also tells of friendship, and how friends can save and change each other. “Sunbleached” by Nathan Ballingrud was definitely horror, and as such, one of the stories I didn’t like. Joshua has trapped a vampire under their house, and wants it to turn him. “Baby” by Kathe Koja is another story in the horror genre. Another not for me. “Transition” by Melissa Marr is another look at the downsides of being a vampire–the possessiveness and the inability to kill the vampire who turned you being two big downsides. “Slice of Life” by Lucius Shepard was another story that disturbed me. What would you be willing to do for you friend, and how can you be sure your friends love you for who you are, not just what you can do for them. “My Generation” by Emma Bull is another poem. 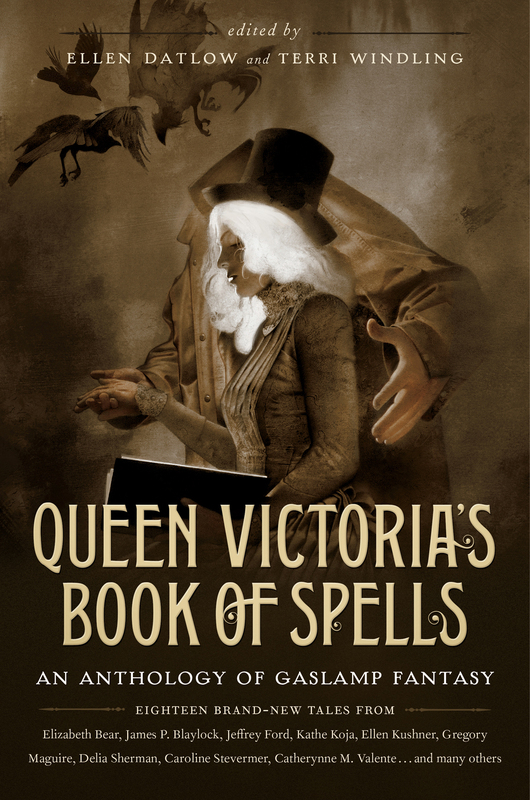 Queen Victoria’s Book of Spells by Delia Sherman is the story of an historical researcher looking for new material on the beloved queen, when she discovers hidden material under Victoria’s childhood sleep book. From the moment her father, the Duke of Kent, died, when Victoria was eight months old, to the moment she became queen of England at eighteen, her mother and Sir John Conroy, her mother’s treasurer and secretary, oversaw every aspect of her life. They developed something they called the Kensington System, after the palace King George IV had given them to live in, designed to keep the young princess safe from infection, accident, and making her own decisions. From the Catalogue of the Pavilion of the Uncanny and Marvellous, Scheduled for Premiere at the Great Exhibition (Before the Fire) by Genevieve Valentine. The catalog of the Great Exhibit of London. Though robbed of much of her power outside the lands of her people, Salome is still presented veiled and shackled, and behind a guarded partition past which ladies and children shall expressly not be admitted, to preserve their moral character. Interspersed with letters from Walter to his brother and from a Miss Hammond, which perhaps shows why there was a fire. 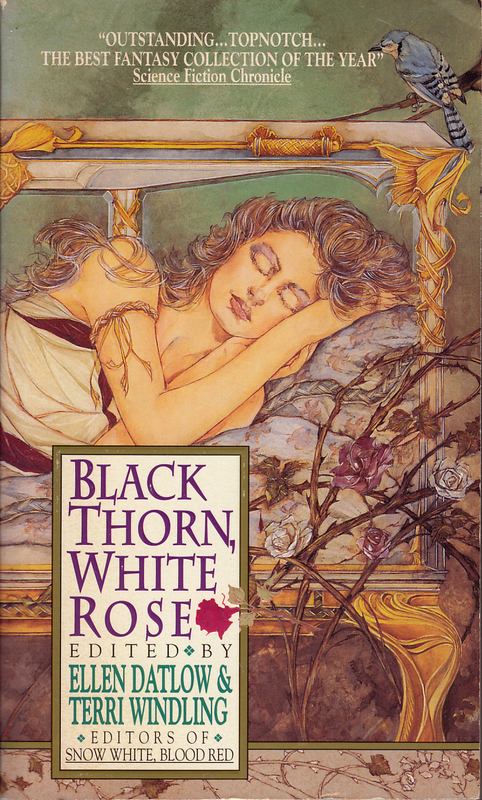 For the Briar Rose by Elizabeth Wein. I believe I was stuck on this story for several months, reading a few sentences and then switching to something else. The Governess by Elizabeth Bear. This is an interesting twist on a fairy tale with which I am familiar. The B____ children are named Charity, Constance, and Simon. Girls are expected to embody virtues, but boys may be themselves. Smithfield by James P. Blaylock. The desire to kill time is a criminal offence since we have little enough of it on this earth, but I very much wished to murder twelve hours of it in order to be about my business. The Unwanted Women of Surrey by Kaaron Warren. Charged by Leanna Renee Hieber. Of all my saints, Edison, in particular, engaged me. As if I were a fisherman, he called me to abandon my nets and come follow him.… I’ve read every word my prophet has written, followed his every move, patent, and innovation. I studied his contemporaries. I puzzled over Tesla’s alternating current versus Edison’s direct. The former individual is a madman. But my prophet is a cool and capable businessman. I’m a man of particular taste, and I like the word direct. It feels right. When one is talking about a conduit of energy, the matter should flow directly from source to target. To alternate is to be inconstant. I am a director. Mr. Splitfoot by Dale Bailey. A reconstruction of the Fox sisters, notorious mediums. The pathways the Bryant and May matchwomen take home from the factory every night are marked by piles of phosphorescent vomit. Theosophists believed that sickness, suffering, deformity, and poverty were punishments for sins committed in a past life. This belief can be dressed as God’s will, or as social Darwinism, but it comes to the same thing. It is a reassuring thought to those whose lives are not thoroughly saturated with such suffering. It’s easy to forget how the people who indulged in afternoon tea rituals, admired clockwork-powered inventions, and wore shapely and beautiful corsets and bustles profited from the death and suffering of others every time they lit a candle. It’s easy to forget how many of them resolutely believed in social Darwinism and in the essential inferiority of all nonwhite people (among whom they counted the Irish), among other vile things.